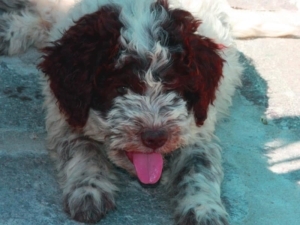 The Lagotto Romagnolo has a diffident character compared to the novelties. In every new situation he tends to want to make his own idea first. He wants to understand what’s going on. For the owner it is important to understand the signals your puppy send every time a new experience begins. Especially the leash. The goal of the puppy owner is to make the leash feel like an experience with extremely positive implications. The psychological trauma that can result from wearing the collar and then the leash must be minimized. This will make it easier for him to appreciate the rewards he will receive during the walk and the walk itself. Dog harnesses are generally not recommended. Once you have overcome the difficulty of the start, the bib makes the puppy more difficult to handle. With both the collar and the harness, we will never play with those who pull harder with our puppy. The bib is chosen because in the collective imagination is still rooted in the concept of a puppy pulling on one side and us on the other. That’s exactly what we’ll never have to do. 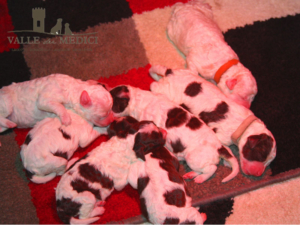 For these reasons, the bib is uneducative for our Lagotto Romagnolo, and harmful to his body. For the Lagotto Romagnolo, the rock to be overcome will almost certainly be the starting point. There are puppies that as you put the leash leave and follow you. Others, the majority, live the moment with a bit of fear and stand still or even retreat. The collar should be introduced step by step. We will get the Lagottto puppy used to wearing the collar. To have it removed and put back on. Short exercises where we will reward your puppy every time you do well to put on and take off the collar. Another way to improve the relationship with our puppy. If your puppy already has a good relationship with us, it becomes much easier. Once the leash is attached to the collar, we kneel down to get up to the level of the puppy. Caressing him and rewarding him with some tasty treats, calling him and encouraging him we will be able to make him take his first steps. If our common sense tells us that for the moment it is too early, we will try again later. After a few sessions we will be able to take our first short walk. The character of each puppy makes the difference. The timing, the necessary attention depends heavily on how we have prepared this event, and much on the character of the puppy. In the very first walks we let our puppy have fun. We will follow him. Using an extendable leash will help your puppy to enjoy the novelty more independently, but always safely. Once the leash will be a fun thing, indeed coveted. The temptation to run around behind new smells will be uncontrollable. The time has come to work on education. Call up our puppy as soon as he starts to pull. Stop until you are back in the center of your attention. Encourage and reward the puppy with croquettes or tasty tidbits every time he does the right thing. Do not pull the puppy for a leash for any reason! We encourage our puppy every time he does the right thing by telling him “Good!”. With time, patience and a bit of constancy, it will soon become a pleasure to be on a walk with your Lagotto Romagnolo. The “Dog activity bag” are handbags to bring the prizes, croquettes or other tidbits and hook comfortably to the belt. They are a fundamental accessory to always have with us during a walk. Useful every time we want to educate our Lagotto Romagnolo introducing some new command. 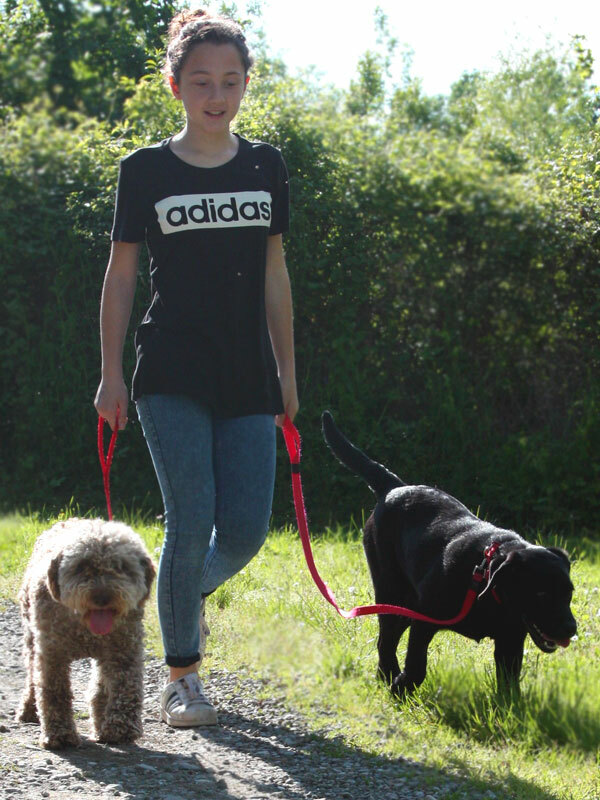 Leashed walks are a magical moment to strengthen the relationship with your Lagotto Romagnolo. When the dog is walking with its owner it should just be fine with him. With time and dedication you succeed. Cleaning the ears Temperament of Lagotto Romagnolo: a lagotto as a life PARTNER.